ESET NOD32 Smart Security Family is a comprehensive cross-platform security solution that provides protect for Windows, Linux, Mac OS X and Android operating systems. This advanced security software brings all the main components of a complex antivirus for protection against phishing and exploits, anti-spam, network attacks, and etc. ESET NOD32 Smart Security Family available in few superior modules, Antiphishing for protects against fraudulent links, Antispam for filter junk mail, Anti-Terror helps search and monitor the movements of the device in cases of theft or loss; while parental control module protect children from unwanted content. 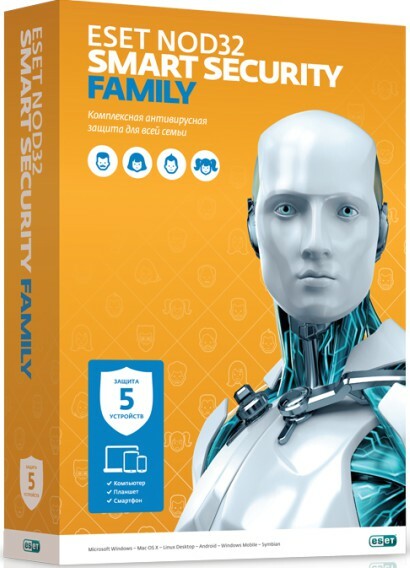 ESET NOD32 Smart Security Family normally cost $34 for purchase. As part of yearly survey to improve products and services, ESET is giving away free 3 months license key of ESET NOD32 Smart Security Family to those complete the questionnaire. Note: This is limited time campaign; one user only allow for one license. Visit the survey questionnaire page URL HERE. Fill in the name, email address, and then click “SEND AND RECEIVE A GIFT” button to grab the software. Follow the email instruction to enjoy ESET NOD32 Smart Security Family full version.